I just started this last week. Sometimes I get the urge to crochet. This promised to use up some stash yarn and have a cozy blanket. 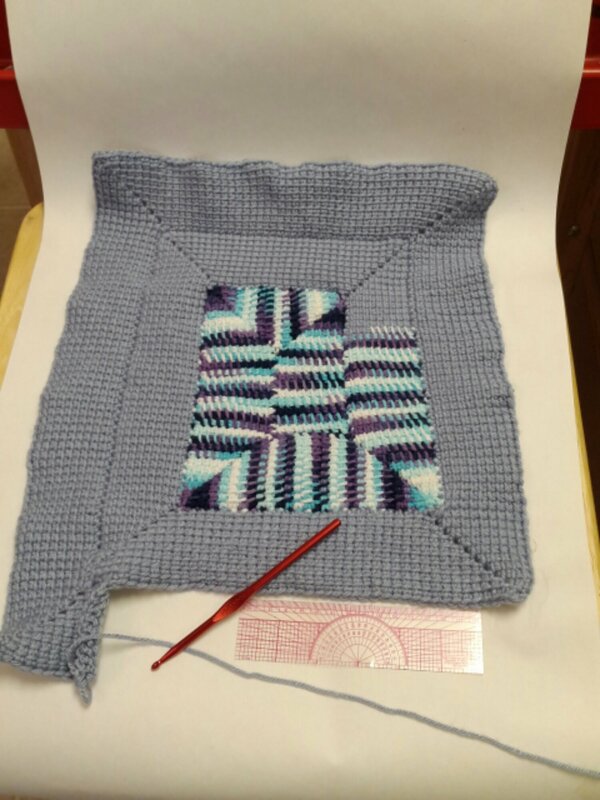 The pattern is from Dedri Uyswho writes a very cool blog. She has done two to three versions of this blanket. It does indeed burn through stash yarn and is indeed very quick to do and addictive! It’s only ten stitches around, worked in a spiral. I’m using a size 9 hook, which is bigfer than recommended for the yarn individually but it makes the blanky drape better (ie: flop around instead of act like a board) and tunisian stitches are tighter. I plan on using purple and white once that skein of blue is finally gone. 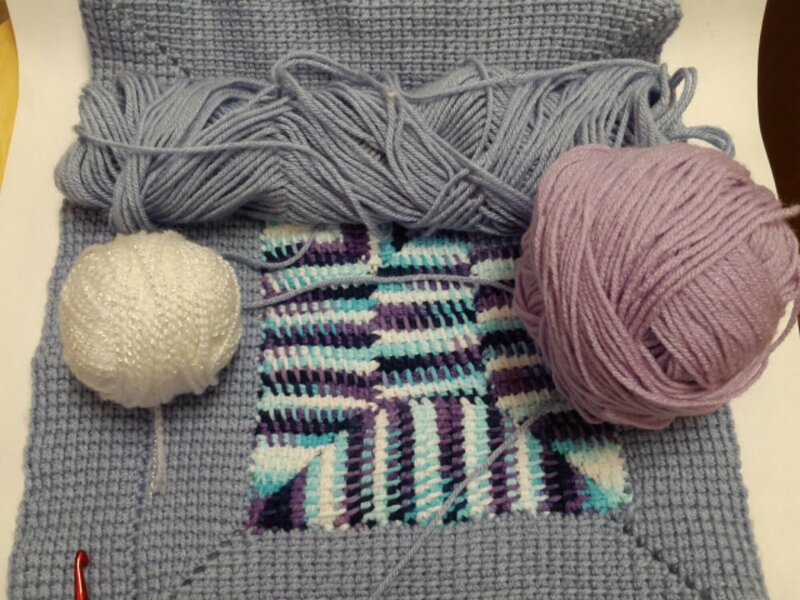 The middle yarn is cotton and the other stuff is unknown acrylic. It is nice and soft and should be nice and warm. The corners are too fun to stitch! Tunisian crochet differed from regular crochet in that it is almost a blend of both knitting and crochet. You pick up stitches like knitting, then crochet them back across. I love the texture.